Researchers at MIT have announced they have invented a powerful 3D microwave camera powerful enough to see you through walls. At a Denver court hearing in 2015 in the U.S. state of Colorado, a police officer told the presiding judge that he had used a security device called the Range-R. It was used to detect whether the accused person was in the house or not. The police officer was trying to arrest someone who allegedly had violated his parole. Not knowing what the Range-R device is, the judge asked the officer for further details. The officer then described the Range-R as a hand-held Doppler radar device used to pick up human breathing and movement within a house. 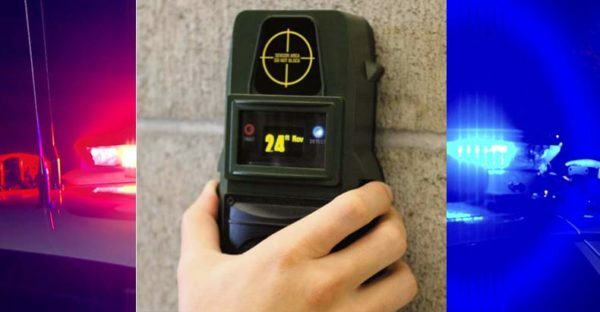 By using the Range-R, law enforcement officers can easily determine whether a building is occupied or not, without having to enter the premises. But before the Denver police officer made this revelation, USA Today had reported some years back that police forces have been using the Range-R device. 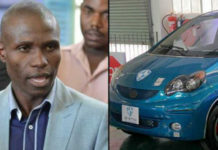 When further investigations were done, it came to light that the device’s availability is not even restricted to security officials, rather it is sold publicly. Manufacturers of the device provided more details. The Range-R is held against the wall of the targeted building. The user then pushes a couple of buttons that send radar pulses through the wall to detect if anyone is inside the building. The device covers a conical view of 160 degrees and works within a range of around 50 feet. The Range-R costs around $6,000. Privacy advocates expressed serious concerns about the device. 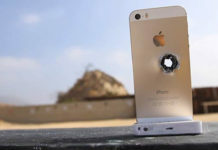 Apart from law enforcement officials using it to violate people’s privacy, some criminals can use it to harm their targets. This is something that should concern us all. A device that can detect the presence of a person in a house without the user entering the building, being easily available to anybody, is not something we should celebrate. Rather, it is a serious security risk. Despite concerns from privacy advocates, inventors are working in the labs to advance versions of similar devices. 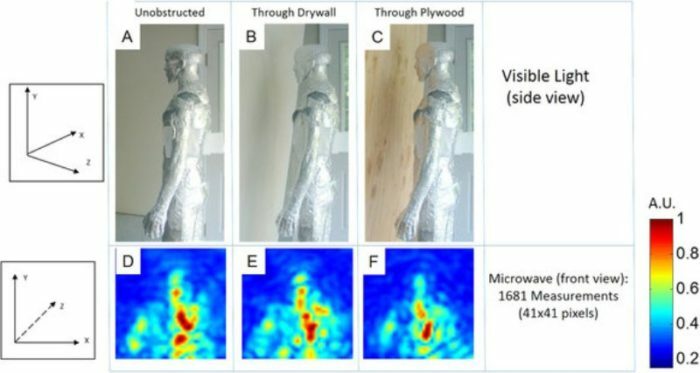 Researchers at the Massachusetts Institute of Technology (MIT) have announced the invention of a 3D microwave camera capable of seeing through walls. This camera can actually capture you even if you are in your room. The camera, according to experts, can do 3D imaging using time of flight, in the same way that Microsoft’s latest Xbox Kinect sensor works. The time of flight camera sends out bursts of microwaves and then keeps careful track of how long it takes for the microwaves to bounce off something and return to the sensor. According to the details, the camera has a temporal resolution of 200 picoseconds, allowing it to resolve distances with an accuracy of 6 cm, enough for usable 3D imaging. Below is a video demonstrating the microwave camera taking pictures through a solid wall and objects. You can see that this new technology is far more advanced than the movement detector, the Range-R device. Advocates for the technology say that it’ll be useful for the recovery of survivors in disaster situations and imaging in hazardous conditions. According to details of the prototype developed, the reflector is over a meter wide. To get the image taken, it has to be mechanically scanned along the entire focal plane. This process is said to take around one hour. The MIT researchers have said they are still working on the technology to make it smaller, probably very portable or even integrate it into mobile phones. The researchers are working on the use of reconfigurable focal-plane sensors or shrinking the transmission wavelength from microwave (3 cm) down to millimeter wave (5 mm), which would significantly reduce the size of the reflector. Some critics of the technology have said it would increase the rate of spying. Not long ago, President Donald Trump said former President Barack Obama ordered surveillance on him during the presidential campaign last year. 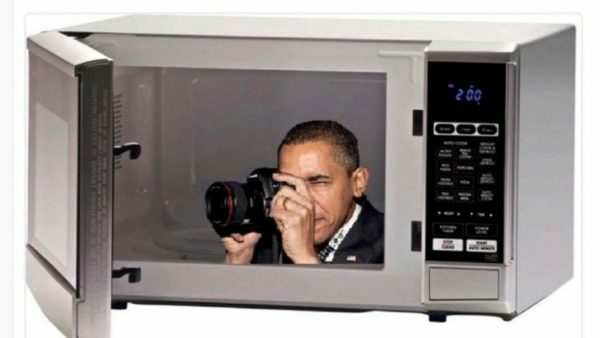 Counselor to the President, Kellyanne Conway later said although she doesn’t have evidence to back her claim, it is possible that the intelligence agencies used microwave cameras to spy on Trump during the campaign. “What I can say is there are many ways to surveil each other now, unfortunately including microwaves that turn into cameras. So we know that that is just a fact of modern life,” Conway said. But the intelligence agencies disputed that they have access to such a technology. Conway was mocked by critics of Trump. 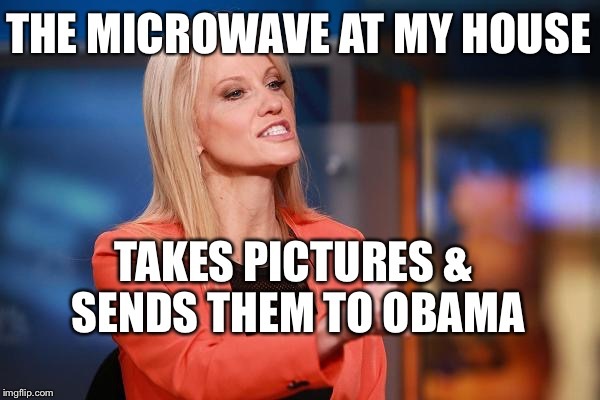 She was labeled as somebody who doesn’t know what she is talking about because microwaves can’t be turned into a camera. But now we know such technology exists. 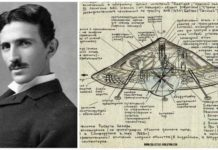 The government appears to have used this technology long before the disclosure was made by the MIT researchers. Our world is certainly becoming more complex. Watch out for more problems as we keep pursuing the technologies without thinking about their negative impacts. This article (Forget About the Range-R Device, the 3D Microwave Camera Sees You in Your Room [Video]) is a free and open source. You have permission to republish this article under a Creative Commons license with attribution to the author and AnonHQ.com. Previous articleMan Films Ocean During Thunderstorm And Captured Footage Is Sending Chills Down Everyone’s Spine!